Task: to develop a bench for the studio’s line of street furniture. 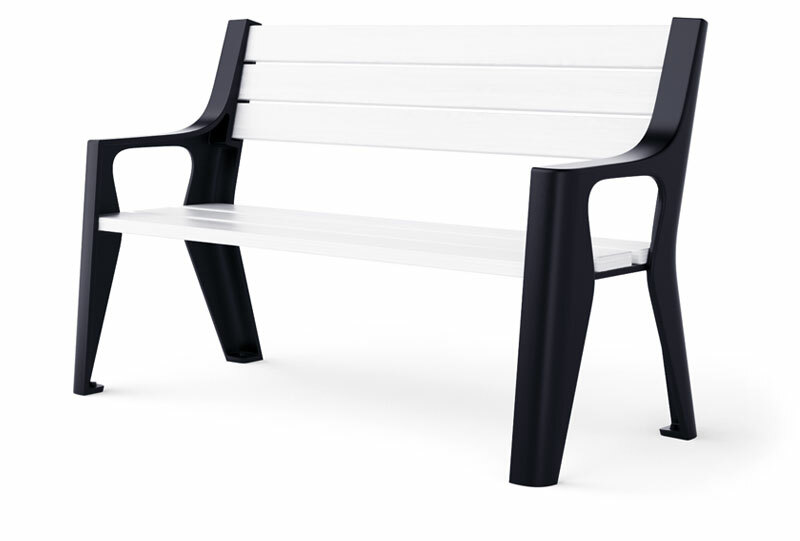 Inspired by city furniture of the 1920s, Skameikus-6 is designed for installation in parks. The bench has a comfortable back angle and ergonomic armrests. The supports are cast iron, the seat and the back are made of larch covered with varnish or paint. Skameikus-6 comfortably sits two people. It is 925 mm (36,4″) high, 1530 mm (60,2″) long and 640 mm (25,2″) wide. The bench is fixed in place with anchor bolts.